Jonny Smokes. Zijn roots liggen in Amerika, maar zijn hart is hier in Nederland: Hij voelt zich hier meer thuis dan waar ook ter wereld. In 2015 is hij geëmigreerd en sindsdien treedt hij op door heel Nederland. Jonny Smokes speelt ruim 300 covers. Onder andere van The Beatles, Ed Sheeran, Nirvana, Prince, Justin Timberlake, Jason Mraz, Jack Johnson en U2. Van ‘Piano man’ tot ‘Can’t stop the feeling’, van ‘Country Roads’ tot ‘Purple Rain’, van ‘With or without you’ tot ‘Banana pancakes’: Jonny speelt het met grote passie. Zijn volledige setlist is te vinden op de website. 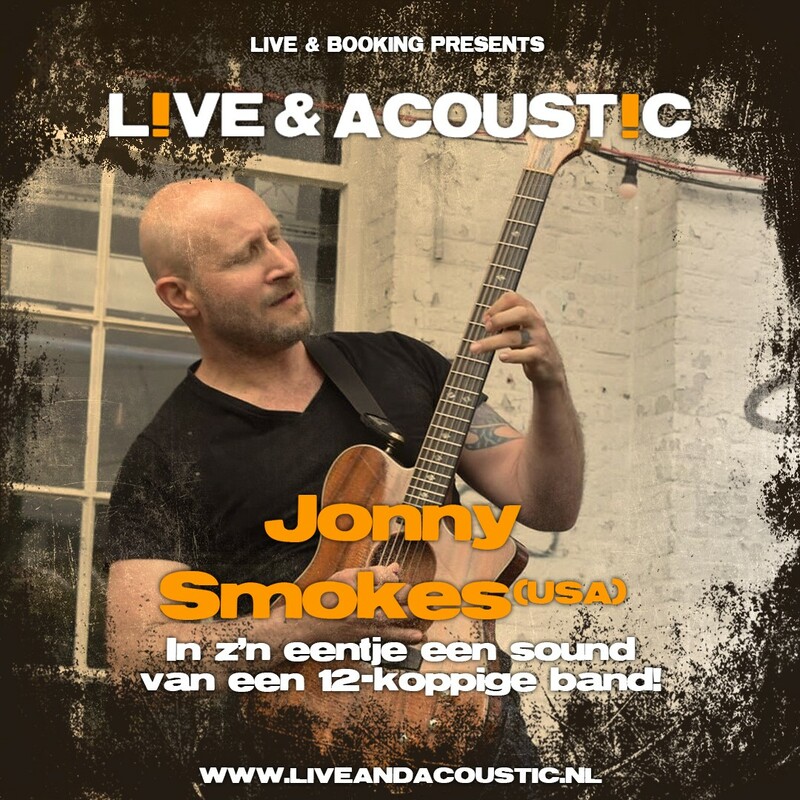 Formerly from Seattle – USA, now currently based in Den Haag – Netherlands, singer/songwriter Jonny Smokes is redefining the idea of what a one-man-band can really be. Masterfully using a loop sampler with a wide array of effects pedals and different instruments, he will quickly compose full songs right before the audience’s eyes and ears. From his proficiency at multiple instruments to his enthusiastic showmanship, he displays a tremendous talent that leaves crowds amazed, and has a warm and humorous stage personality that has earned him thousands of loyal fans and friends world wide. Performing a wide variety of music styles ranging from laid back folk ballads, upbeat party pop, alternative rock, hip hop and even heavy metal, his sonic diversity brings everyone in the room together as one big party that everyone can enjoy. Since relocating to the Netherlands, Jonny’s solo career has seen growing success in the European music scene, appearing all over Western Europe at multiple street art and food truck festivals, several city sponsored regional music festivals, numerous clubs and music halls, wedding events, private and corporate parties. 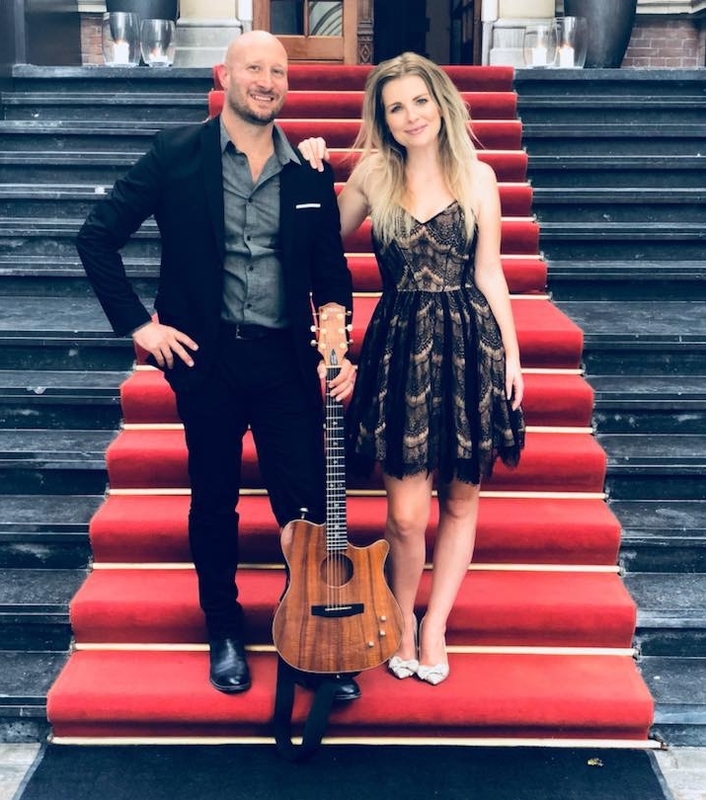 He is currently collaborating with singer-songwriter Jennifer Ewbank (from Voice of Holland), performing acoustic guitar loops and vocal duets with Jennifer playing piano and beautifully singing. Jonny Smokes also performs his acoustic loop show as a duo with talented Dutch artist Maurits Malherbe on acoustic double bass, and is the lead vocalist in the tribute band to Seattle grunge legends: Sounds of Seattle.